Thanks for providing this article. 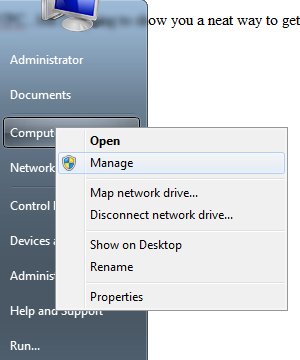 It really helped me to configure Windows 2008 R2 dual mode on Windows 7 machine. However, once I configure successfully as per your article, I am not able to login to Windows 2008 R2. Once I select the Windows 2008 R2 in the boot menu, I am seeing a blue screen for 2 seconds and immediately coming back to boot menu. I getting message: Failure when attempting to copy boot files. How should I know where is my Windows partition of the VHD? @V - I'd need more details to help you solve this. 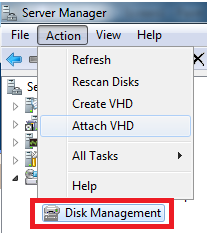 @Darinka Stokanovic - When you attach the VHDs, you select a drive letter for them. Let's say you choose E: for the AX5-W8R2-01.vhd, then you will use "bcdboot E:\Windows". It's just the windows folder on the HD. Make sure you run it from an elevated command prompt, i.e. right click>run as administrator. I attached two VHD: AX5-W8R2-01.vhd and AX5-W8R2-01_DB.vhd. After this step, I run cmd as Admin: bcdboot H:\windows and I got message: Failure when attempting to copy boot files. Also, created H disk is empty, but F (database) disk have some data, like are SQL, OLAP, etc. Maybe I missed some step? The H: drive shouldn't be empty if the H: drive is the AX5-W8R2-01.vhd mounted. Something must have gone wrong there. I have program files, windows, users, etc. Do you have enough disk space? Otherwise that's your problem. I solve the problem, but now I have the same problem as Unknown wrote in his comment. I have 6 GB, i7 processor, so I suppose it is not problem in configuration. Do you have any solution? Do you have a 64bit machine? I wonder if perhaps it is just an unrecoverable driver error...for example my display needed a driver. I'd think you could try and do a windows recovery or safemode to get to a point where you can load some drivers specific to your machine. I wish I could be of more help here.